Home » Mobile Money » As The ZSE Introduces Electronic Trading What Does This Mean For Ordinary Zimbabweans? This bit of information has been the cause of a lot of discussion in Zimbabwean corporate finance circles; the Zimbabwe Stock Exchange (ZSE) will introduce electronic trading next month. This is a progressive shift from the current model, where the only way to trade on the ZSE is through stockbrokers. It’s been something of a triumphant feat for the ZSE because frankly, we came late to the party on this one. The ZSE is one of a few stock exchanges in the world that are yet to be digitized. Countries like Jamaica and Uganda recently made steps to implement e-trading on their capital stock exchanges, while the most advanced bourse on the continent, South Africa’s JSE, was digitized more than a decade ago. The new ZSE e-trading platform will ultimately eliminate the need for middleman when trading stocks on the ZSE. But besides meaning reduced focus on the trading aspect for stockbrokers, this means the adoption of tech in bringing our bourse to current world standards. So what does that mean for ordinary people like you and me? There are several benefits that come with digitizing a stock exchange. 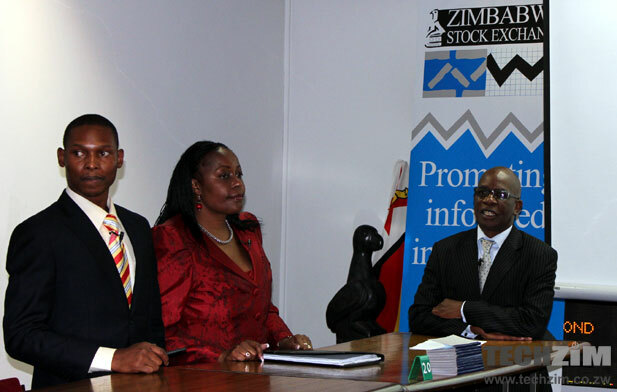 Any Zimbabwean will now be able to trade on the stock exchange through an online platform. That naturally opens the door for increased participation in the main representation in our country’s active economic players. The cost of trading on the ZSE will also be reduced. The removal of layer of trading that you had to pay for through brokers’ commissions is removed.Traders won’t have to be physically at the ZSE to do business. . Only those who want to trade large stock quantities will need stockbrokers. For anyone who’s currently trading in the listed counters, this new e-approach means you won’t have to be physically at the ZSE to do business. You can trade in the comfort of your home or office without the use of middlemen like stockbrokers. Only those who want to trade large stock quantities will need stockbrokers. Digital trading means traders have full control of their stock and can trade at any time of day. There will be increased transparency on trading and greater competition between companies as as there will be greater liquidity for traders as location of companies becomes less of a concern. The other winner in all of this is the Zimbabwean economy. The volume of trade will increase because of the improved ease of trading and increased participation. Those in the diaspora can also trade on the ZSE. Traders can obtain higher returns because of the use of trading algorithms. Update : One of our readers who used advised us that the e-trading platform is a view only platform meaning that one will still need to use stock brokers to trade on the ZSE. We hope they update their platform to world class standards as this will enable ordinary citizens to easily trade on the stock exchange. This is a good article espacially becuase not much has been said in the formal media or by the ZSE itself – use of its own website is terribly low for investor education and investment promotion – however there is repetition in the second section. Most importantly though nothing is mentioned about how the new Electronic Trading system will work at the individual investor level. For example does each individual investor register for their own trading account and how would that account be funded? In terms of registration are we going to have the same or similar requirements as banks which intentionally or unintentionally lock out/create roadblocks for those in the diaspora from participating locally. Eagerly awaiting the follow up articles young man. investors can only have a ‘view only` access to the trading system through a broker.All orders to be placed through brokers and the cost of trading will remain the same.For more infor contact zse at 04 886 830-8.Please write with accurate facts and stop misleading people.You can get in trouble with SECZIM. Thanks, Anonymous for the update. ZSE was contacted well in advance of publication of this article. We wanted clarifications on many issues including the one you clarify here. The office we were referred to didn’t respond to our request for information. We then looked at similar e-trading platforms and looked at what they offered. I will kindly update the article.